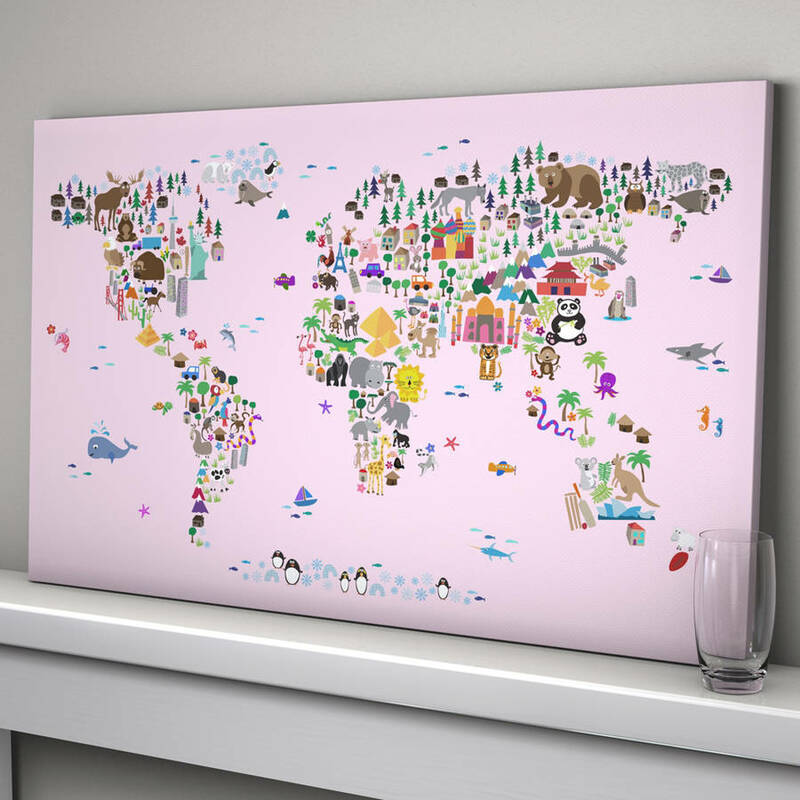 A map of the world created from colourful animals, landmarks and other curiosities on a plain white, ivory/cream, blue or pink background. 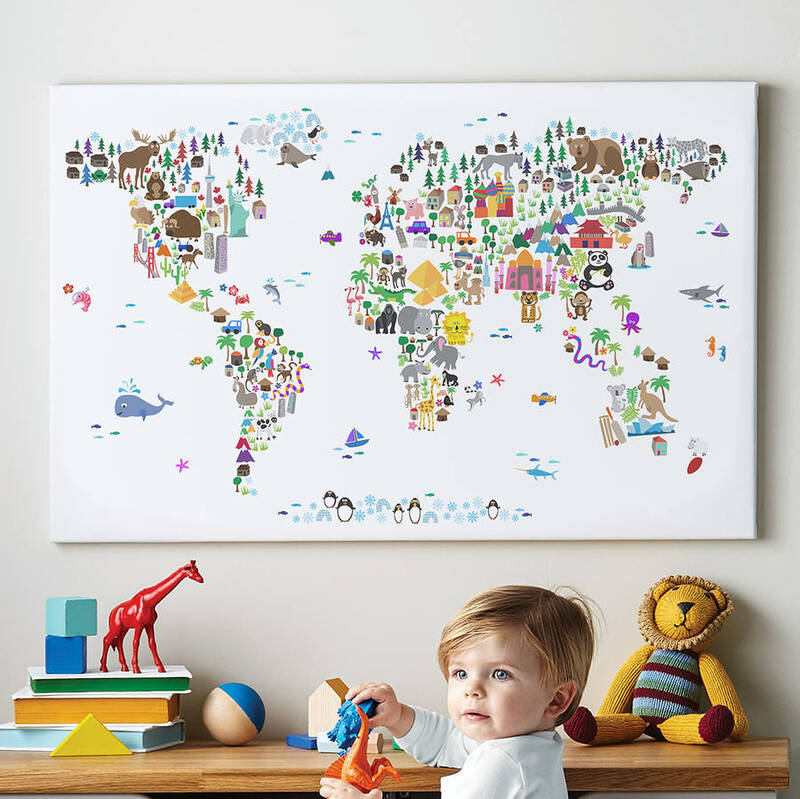 Both the fine art print version (suitable for framing - frames are not included) and the ready-to-hang canvas print of this fun and exciting artwork would be a perfect addition to any young child's bedroom or playroom. 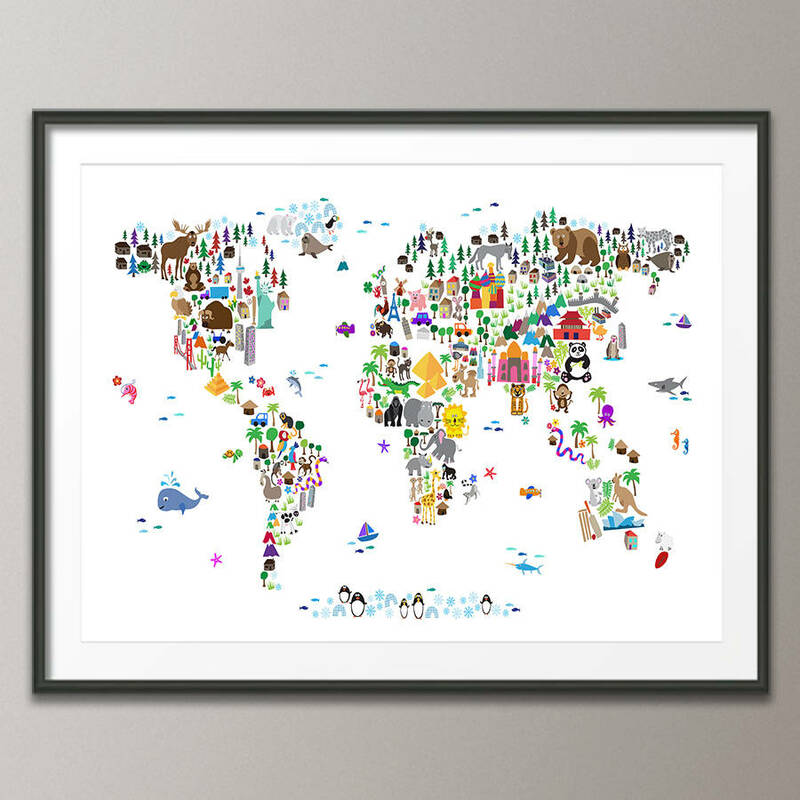 An original and interesting gift for the kids to help them learn about the world. To ensure superb colour vibrancy, only museum grade pigment inks, guaranteed fade-proof for up to 100 years (indoors or behind glass), are used in the printing process. This artwork is available as an unframed satin poster print, an unframed luxury fine art print or stunning ready-to-hang canvas. Please note the the X-Large 32x48 inch box canvas may require 2 addtional days on the advertised delivery time. There is a choice of four background colours - plain white, ivory/cream, blue or pink background. This beautiful map is part of a collection which also includes a Map of the Great Britain & NI, a Map of Scotland, and a Map of Africa in the same style. 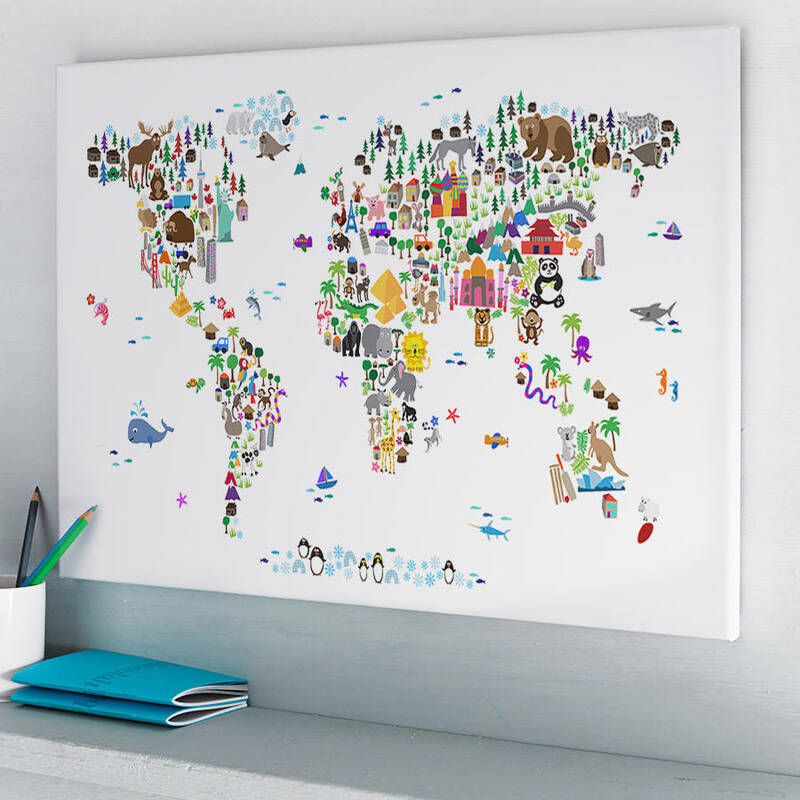 Poster prints are giclee printed on high-quality, heavyweight (260 gsm) paper with a satin coating that enhances colour depth and contrast. 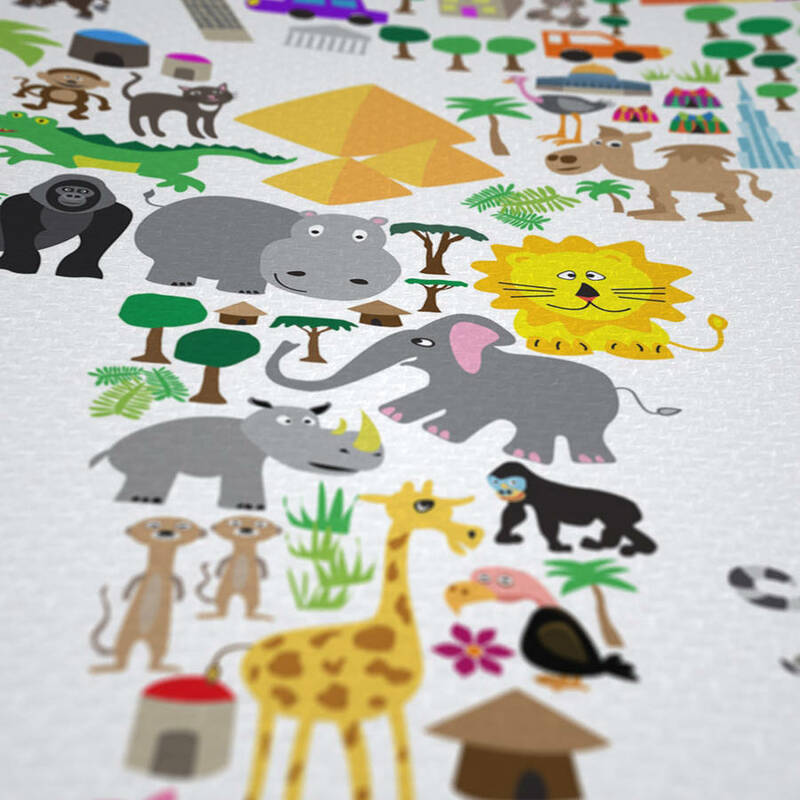 Art prints are giclee printed on a beautiful, heavyweight (310 gsm), lightly textured 100% cotton rag fine art paper. Canvas prints are giclee printed on to European sourced, luxury matte poly canvas (280 gsm) for fantastic colour reproduction and incredible durability. They are then hand-stretched over kiln-dried FSC approved pine frames, secured with air-staples on the reverse, and covered with backing tape for protection. Dentate hangers are attached for easy hanging, and corner wedges fitted so the canvas can be re-tensioned if ever necessary. 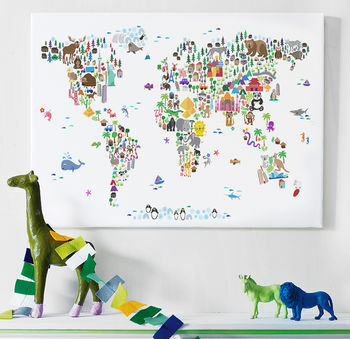 Please note that this product is a decorative wall hanging, not a childrens toy. Ready-to-hang canvas print sizes: Small 30x40 cm (12x16 inch), Medium 40x55 cm (16x22 inch), Large 55x86 cm (22x34 inch), X-Large 81x122 cm (32x48 inch) Chunky 32mm deep frame - PLEASE ALLOW 2 EXTRA DAYS FOR DELIVERY FOR THE X-LARGE Box Canvas. 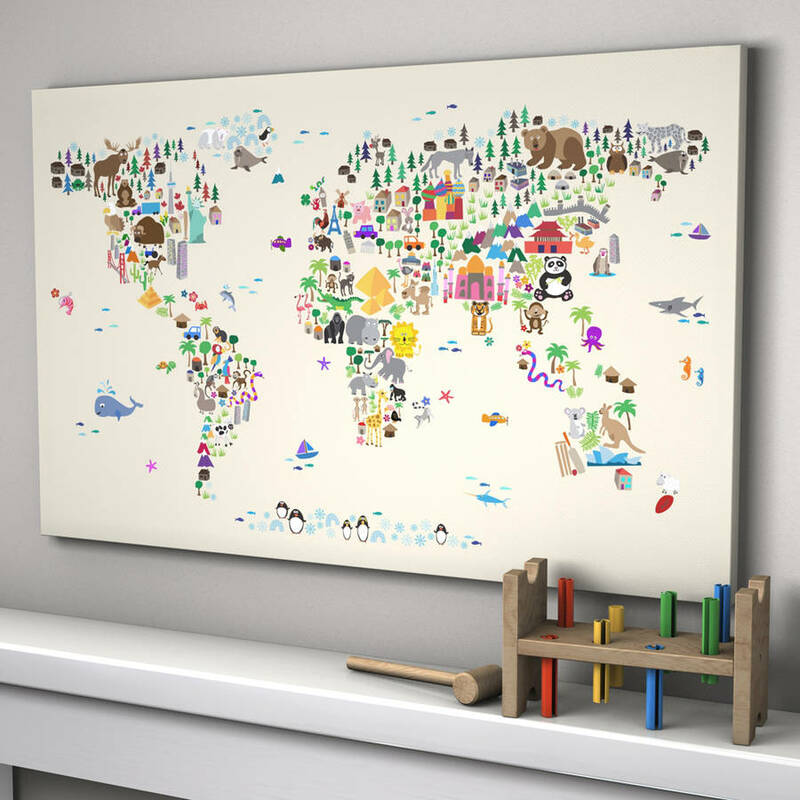 The X-LARGE Box Canvas can only be delivered to mainland UK. 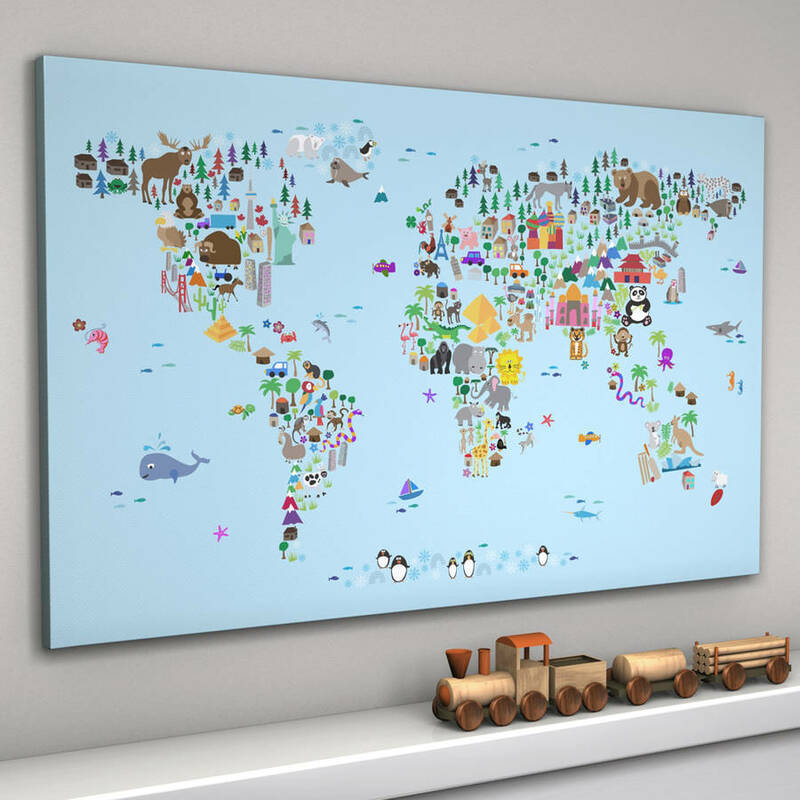 This product is dispatched to you by artPause.